Given two names, three moms and an abundance of love, Alexis Manigo is celebrating one year as Kamiyah Mobley. Keitha Nelson sat down in an exclusive interview with Kamiyah as she celebrated one year of being reunited with her birth family. Kamiyah Mobley was abducted just hours after her birth from a Jacksonville Hospital. Eighteen years and a whole lifetime later she was found living as Alexis Manigo in South Carolina. She was first introduced to the nation as a newborn baby, then again as an 18-year-old thrust into the national spotlight overwhelmed by her truth. Now Kamiyah is a 19-year-old young woman who does not see herself as a victim. She’s a tough cookie who understands the uniqueness of her situation but refuses to dwell in the past and is desperate to move on. "Everybody always asking me how you handling stuff,” Mobley said. “To be honest I dealt with it probably better than what people think." Just an hour before a party celebrating one year as Kamiyah Mobley and her father's birthday she spoke candidly with Nelson in a private section of a Westside lounge. The girl with two names and more "mothers" than at times she can handle, remained upbeat about her unique circumstance. "I actually make jokes about that,” said Mobley. “Everyone be like 'How's your mom?' and I be like 'Which one?' and they love it." With a huge smile on her face matching her bold personality, Mobley reflected on the past while looking forward to her future. "What I've been through is hard, but not hard enough for me to be sad all the rest of my days. My future is only going to get better," said Mobley. What she's been through is unimaginable. Kidnapped from University Hospital, in Jacksonville in 1998 at just 8 hours old, Kamiyah Mobley would become Alexis Manigo. 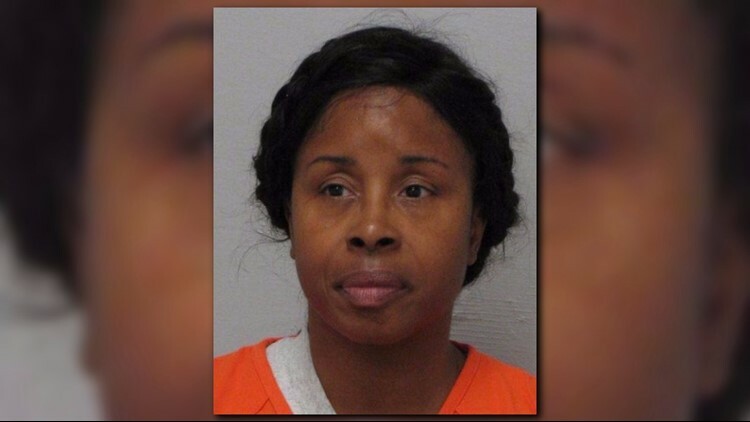 She was renamed by a woman who police say posed as a nurse, stole little Kamiyah from the arms of her then 16-year-old mother and raised her 200 miles away in Walterboro, South Carolina. Video of a young mother, Shanara Mobley crying out for a piece of her that would be missing for 18 years resonated with parents on the First Coast, people across the nation, and around the world. Many questioned how the kidnapping could have possibly happened. Aiken says the name Gloria Williams isn’t mentioned in his home. The woman accused of stealing his child is awaiting trial with jury selection set to begin on February 12, 2018. His main concern is Mobley, his now 19-year-old daughter, who for nearly two decades had been living a lie. “Sometimes I worry, but when I do start to worry she makes me not worry. She always makes it seem like she has it under control," said Aiken. Aiken says at times it feels as if Mobley never left, fitting in seamlessly with his eight other children. "This year here we have accomplished so much together and I think that partly comes by like I said, us communicating and wanting to get to know each other -- wanting to fix the problem and wanting to move on," said Aiken. Moving on is currently Mobley’s focus. With the help of Aiken's wife who refused to take no for an answer- once Alexis Manigo, now Kamiyah Mobley has legal documents, a real Social Security card and is interested in attending Florida State University. While thinking ahead to her own future, Mobley is at times consumed with worry as she wonders what will happen to the woman who raised her. Gloria Williams, who will soon face a judge and jury, could face life in prison. "Of course I'm not going to say throw her in jail and throw away the key or throw her underneath the jail, of course. I don't want to see so many years, but I understand a crime was done so I understand some punishment has to be rendered," said Mobley. And what about the woman who gave birth to Kamiyah - Shanara Mobley? The Jacksonville teenager left torn for nearly two decades? "We're working on our relationship,” said Mobley. “We see each other. I have went over there and stayed the night and stayed a week over there." She's grown closer to her father, but they all desire for Shanara and Kamiyah's strained relationship to heal. “She's just trying to figure out how to make everyone happy and that could confuse a person, trying to make everyone happy," said Aiken. "My biggest fear is a speedy recovery - a relationship with her and her mother. I would like that to be sooner or faster. She needs to share the joy." The joy of finding a part of her that for so long she hadn't realized was missing. “I don't like to think about the past I'm enjoying the now," said Mobley. Since their reunion a year ago Mobley has been back and forth between Walterboro, S.C., and Jacksonville but says it looks like Jacksonville will eventually become her home. As for her two names, she doesn't have a preference and answers to both Alexis and Kamiyah. She tells First Coast News she speaks to Williams from jail almost every day. "She's still a mother behind bars. Oh, she stays on me hard. Like- 'Hey what you doing? You got this yet? What are you doing, what college are you going to?' I get 'What college are you going to?' like every time we talk," said Mobley with a smile. Kamiyah says she keeps upbeat because that's the kind of person she is, "I just think things are gunna get better, I always believe that. I just think there's always a rainbow on the other side."